Looking for Leadville, Colorado vacation activities? 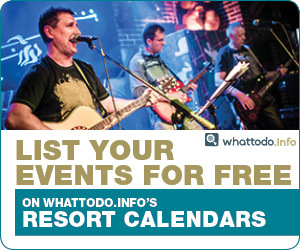 Look no further than WhatToDo.info! Use the search bars above to explore restaurants, hotels, activities and events! In Leadville and nearby Twin Lakes, everyone is high – even you. At 10,152 feet above sea level, it’s the highest incorporated city in the United States. But that’s not all it’s famous for. The saga of Horace and Baby Doe Tabor, the Pikes Peak Gold Rush, the “Unsinkable Molly Brown” (of Titanic fame) and Doc Holliday are just a few colorful characters who’ve made Leadville home. And Leadville’s reputation as one of the most lawless towns in the Old West give it an interesting place in American history. Leadville’s historic sites – like the Tabor Opera House, Matchless Mine and historic downtown – continue to draw Colorado visitors. Many of these buildings are still in use today. Plus, the 10th Mountain Division’s Camp Hale Training Grounds are nearby. It was in this high alpine setting the US Army trained elite soldiers for missions on skis during World War II. And today’s visitors can enjoy snomobile tours and mountain biking or hiking through the same gorgeous landscape. Also, the 10th Mountain Hut system is a fabulous adventure for hearty travelers. It offers rustic overnight lodging for backcountry activities. or Save $20 a Year! Outdoor recreation is the primary draw to Leadville. Nearby Twin Lakes and Turquoise Lake offer fishing, boating and water activities against stunning Rocky Mountain backdrops. Leadville is the perfect base camp for mountaineering sports. There are three wilderness areas and the San Isabel National Forest nearby. Further, many Fourteeners (mountains over 14,000 feet above seal level) are close by. Hiking, camping, mountain climbing and “bagging” 14ers are all popular. Leadville’s high elevation makes it a great training ground for fitness buffs of all sports who want to challenge themselves without much oxygen! Hence, the Leadville 100 Race Series (the “Race Across the Sky”) has become the defining event for competitive “ultra” runners and cyclists. These elite (and perhaps insane) athletes come to Leadville every summer to test their merit against the peaks and intense weather of the Rocky Mountains in high mileage races (think 50-100 miles). Leadville also hosts numerous fitness training camps. Additionally, quirky destination events like the Crystal Carnival and Ski Joring (which entails horses dragging skiers down Main Street) and Leadville Boom Days (which includes burro racing and other wacky family activities) delight Leadville visitors. Every year, visitors come to Leadville from all over the world in search of a unique Colorado vacation experience. And, with everything Leadville has to offer, they certainly won’t be disappointed! Find more Leadville events here. Riding a train is an adventure that takes passengers into history – and far into the Colorado Rockies. Enjoyment for railroad aficionados, landscape photographers and kid makes a train ride such a popular vacation activity for all ages… Read More! Pristine fishing, mountain climbing and high altitude fitness challenges, dog sledding and more… Visitors come to Leadville for unparalleled opportunities for outdoor activities. One thing Leadville lacks? 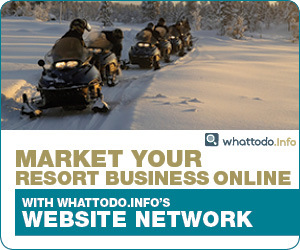 The crowds & expense of Colorado’s major resort areas! Read more about local activities!